Grace Hester of Guntown performs several gospel favorites at JOY Club’s monthly potluck lunch at First Baptist Church of Eupora. The community is welcome to join the fun at the monthly potluck lunch set for 11:30 a.m. on the last Tuesday of each month. JOY Club members also plan occasional day trips that are announced at meetings. Join us for the August potluck at 11:30 a.m. Aug. 26 in the FBC Eupora fellowship hall. Learn more about JOY Club by going to http://www.fbceupora.com/ministries. 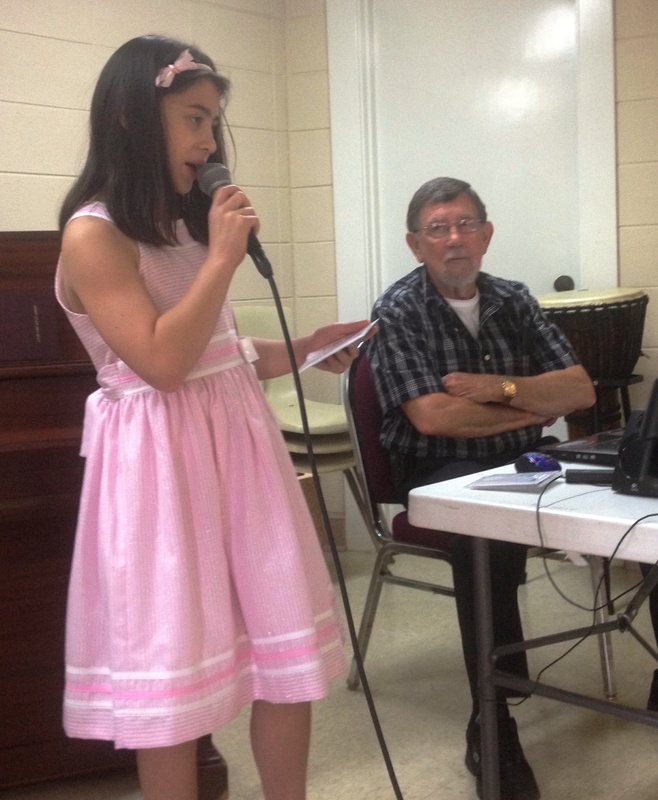 All JOY Club photos were published in the First Baptist Church of Eupora newsletter on July 31, 2014 at BR Newsletter 7-31-14.